I was there ages ago, when as a child at the seaside with my parents we used to spend some hours at the beach and some others visiting in the Ligurian hinterland. I remember that at the time it fascinated me and even scared me a little. 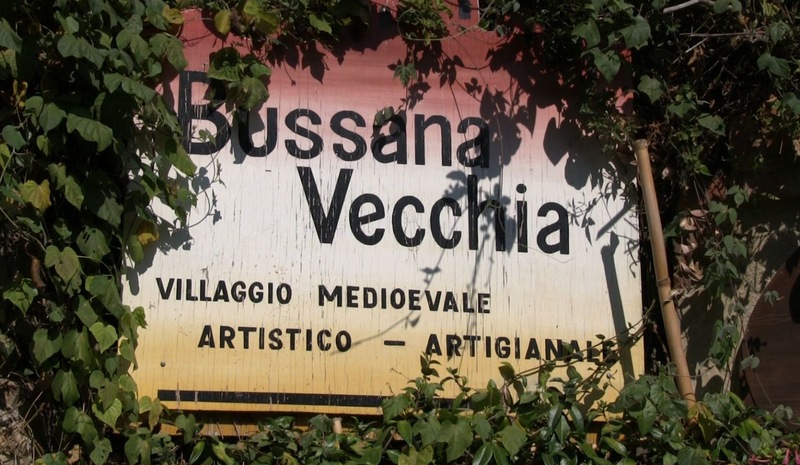 Bussana Vecchia is located in the Ligurian hinterland, behind Sanremo. And it is in fact a part of Sanremo, although it’s 8 km far from the city center. You may wonder why the adjective “vecchia”(old) next to the name of this hamlet. Well, at the end of 1800 a violent earthquake almost completely destroyed what at the time was the village of Bussana. This was only the first shake. Others followed and the residents lost their homes. The town of Sanremo closed all access to the village and after a few months in makeshift dwellings the people here helped the rebuilding of houses southern in the valley, in what today is called Bussana Nuova (new). But what happened in Bussana? For years it remained a ghost town. No one was authorized to officially get in, but often the children of the area organized excursions among the ruins on which shrubs and vines took over. In the 50ies was the turning point. Italian and foreign artists, attracted by the mildness of the place, the magic and charm of this village, decided to reopen the gates, to restore homes while leaving evidence of what had happened, and to establish here a “bohemian” community. 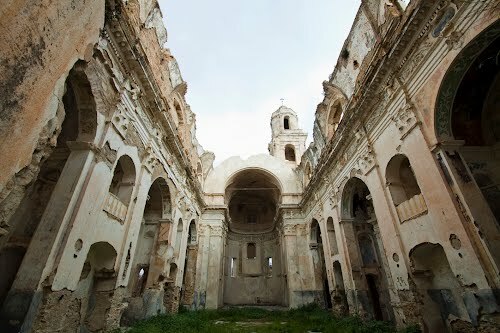 Since then, the village came back to life: the houses have been refurbished to be able to live in, always with respect for tradition and often using recycled materials; the church described in the testimony of the time is still as remained after the carnage, with walls almost intact, and part of the dome still standing; the streets are narrow and only foot traffic is allowed. Arriving there is necessary to park the car at the entrance of the village; in Liguria spaces for parking are rather limited and narrow so be careful not to go up with too bulky car and above all expect a lot of people during the weekend. Walking through the narrow streets of the village, almost in every house, you will find the shops of artisans and artists, sculptors, painters, clothing and jewelry makers … And also you will hear different languages, as foreign artists are still very present here. Take a look to the names on the door-bells and notice Dutch, German, French names, but also from northern Europe. Here everyone works with the neighbors, the community is very cohesive and the magic ambiance creates a sort of a Tower of Babel in which people understand and support eachothers. There are also several dining options; although it is not a big city, it has several restaurants with choices for all tastes, ranging from food for vegetarians and clearly organic in the most sought after dishes of the earth cuisine and Ligurian Sea. 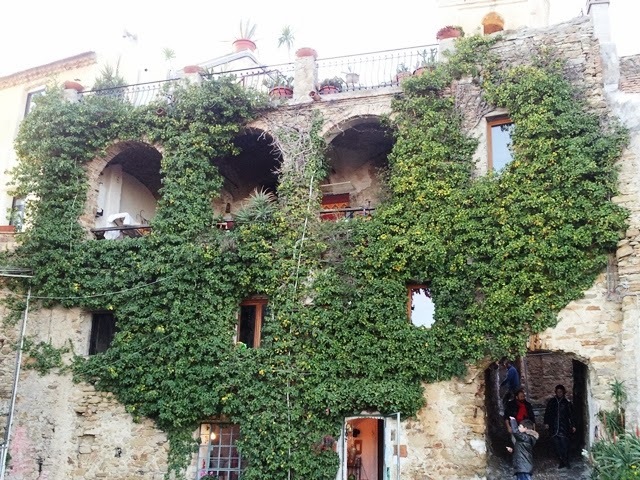 You will meet people, open and smiling, that will invite you to enter their own atelier just to take a peek, and many, many cats perched on the ruins and the dry stone walls with climbing ivy. thank you. such a pleasure!